Chennai Super Kings are all set to lock horns with Mumbai Indians for the 15th game in the IPL 2019. 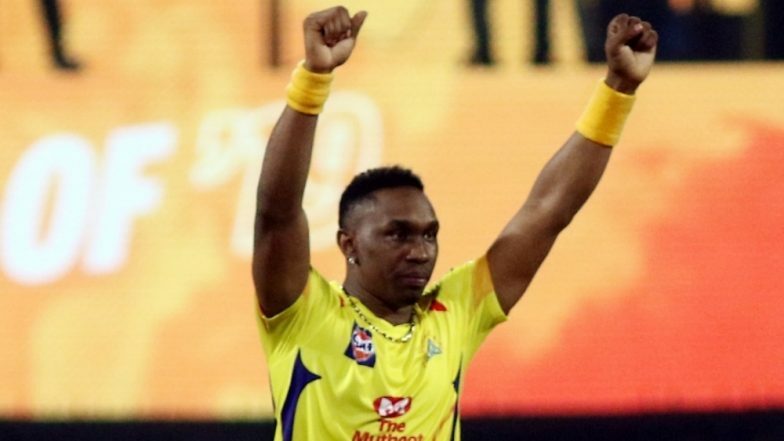 The Chennai Super Kings all-rounder Dwayne Bravo, who has emerged as a hero for the team on many occasions, will add yet another feather to his illustrious IPL career. The Caribbean cricketer is just one wicket away to become the first player to claim 100 IPL wickets for the franchise. Bravo has always stood tall when expected to deliver both with the bat and ball. MI vs CSK, IPL 2019 Match 15, Key Players: Rohit Sharma to MS Dhoni to Jasprit Bumrah, These Cricketers Are to Watch Out for at Wankhede Stadium. The last time we watched Bravo delivering his best was during the IPL 2019 tie between Rajasthan Royals and Chennai Super Kings. The 35-year-old was seen in action with the bat and bowl and turned the tables. Bravo scored 27 runs from 16 balls. Bravo also gave away three runs in the final over and snapped a couple of crucial wickets and the Chennai Super Kings went on to win the game. So far, Bravo has scored 1434 runs from 125 matches with an average of 23.90. The Caribbean cricket enjoys the strike rate of 129.30. Mumbai Indians vs Chennai Super Kings Live Cricket Score. In all, Bravo has snapped 143 wickets in the IPL, which also includes the ones when he played for Mumbai Indians and Gujarat Lions. For Mumbai, Bravo has snapped 26 wickets and 17 wickets for Gujarat Lions. Talking about the match today, the thrilling encounter will begin at 8.00 PM.